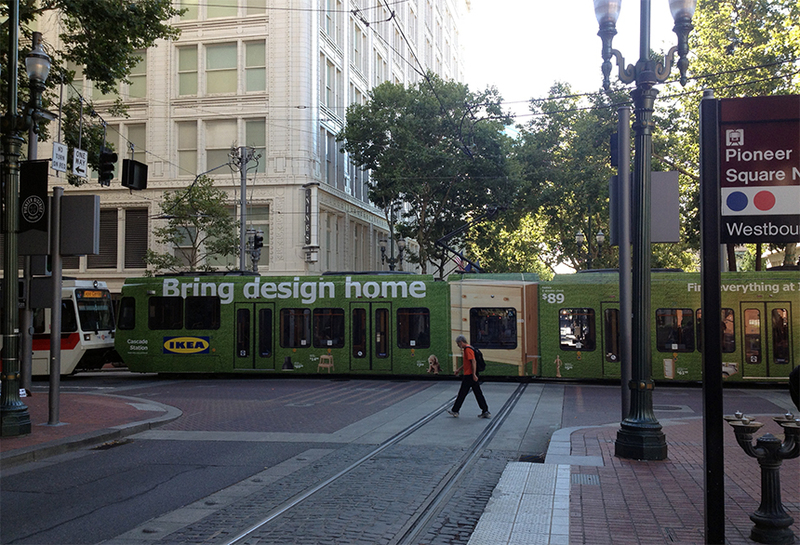 Ikea ran a full-wrap transit campaign utilizing Lamar's rail inventory in Portland. This was a long-term installation by the client trying to reach consumers on the street level. The campaign promoted the client's "bring design home" tagline, with images of inventory and price points incorporated into the full-wrap design.